Remarks after the match THW Kiel vs. FC Barcelona Borges will be examined. 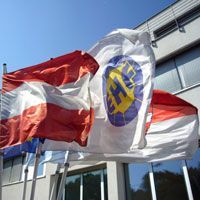 The EHF Arbitration Tribunal opened disciplinary proceedings today against THW Kiel (GER) and their coach Alfred Gislason after the filing of a claim by the EHF. The EHF claim refers to the statements made by Gislason to the media after the 2010/2011 EHF Champions League Quarterfinal match THW Kiel (GER) vs. FC Barcelona Borges (ESP) on 01 May 2011 in Kiel, Germany.